F5 Networks is the global leader in Application Delivery Networking. The company’s hardware, software, and virtual solutions help organizations address the relentless growth of voice, data, and video traffic to better support mobile workers and applications—in the data center, the network, and the cloud. F5’s extensible architecture provides application optimization, protection for applications and the network, and enhanced application reliability. 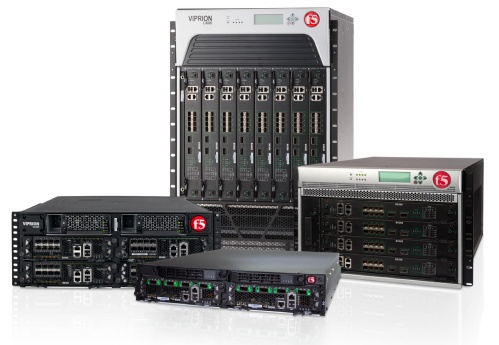 The BIG-IP family of products offers the application intelligence that network managers need to ensure applications are fast, secure, and available. All BIG-IP products share a common underlying architecture, F5's Traffic Management Operating System (TMOS), which provides unified intelligence, flexibility, and programmability. Together, BIG-IP's powerful platforms, advanced modules, and centralized management system make up the most comprehensive set of application delivery tools in the industry. F5 provides seamless, flexible, and easy-to-deploy solutions that enable a fast response, no matter what type of DDoS attack you’re under. Deliver multi-layered DDoS defense from a single box with a fast-acting, dual-mode appliance that supports both out-of-band processing and inline mitigation, while enabling SSL inspection and guarding against layer 7 app attacks. Stop attacks with on your data center immediately with an in-depth DDOS defense that integrates appliance and cloud services for immediate cloud off-loading. Unique layer 7 application coverage defeats threats cloaked behind DDoS attacks without impacting legitimate traffic. Activate comprehensive DDoS defense with less complexity and greater attack coverage than most solutions. Close collaboration with F5 allows excellent contacts and a prompt exchange. LMany years of experience in DDoS Protection and Application Delivery - from architecture and design as well as implementation and operation. DDoS is the plague of today: How to protect yourself effectively, learn in our blog!